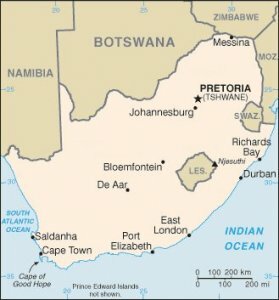 Population: Afrikaners constitute nearly three million out of approximately 49 million inhabitants of the Republic of South Africa, plus as many as half a million in diaspora. Afrikaners are represented at the UNPO by Freedom Front Plus. They were admitted to the UNPO as a member in 2008. Freedom Front Plus is a South African political party that aims to protect linguistic and cultural rights of the Afrikaner community, which are increasingly threatened in present-day South Africa. Furthermore, the party works towards self-determination for Afrikaners within the South African constitution. In their view, the latter should be interpreted in such a way that it allows for regional autonomy of all groups that seek self-determination. The Afrikaners are descendants of Europeans who arrived in South Africa in the seventeenth century. They speak their own language, Afrikaans, which is derived from Dutch. 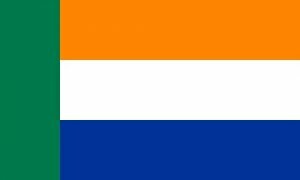 The Afrikaners originate from the first permanent settlement of Dutch colonists in 1652, though their development has also been influenced by the French Huguenots who came to South Africa as they fled from Catholic France, as well as by German settlers. Some contemporary cultural traits, such as their language, can easily be traced back to these original settlers, whereas their overall way of life has changed significantly over time. While the majority of Afrikaners live in the Republic of South Africa, considerable numbers can be found in other African countries. During the colonial era, several Afrikaners went to farm in Kenya, but it was mainly over the course of the past two decades that a significant flow of Afrikaners left their home country to settle elsewhere. Forming part of the greater capital flight of skilled labour out of South Africa, many educated Afrikaners have left towards the United Kingdom, Australia and other countries considered to offer more opportunities. Afrikaners in South Africa increasingly face discrimination as well as hate crimes in the form of so-called “farm attacks”. Even though several of the country’s territories were nominally self-governed, South Africa’s black majority was excluded from virtually all democratic participation in the governing of their state and country during the decades that followed. Segregation policies, to be traced back to 1905 when the British separated public schools along ethnic divisions, were soon to be complemented by discriminating legislation passed by the British-controlled government. In 1923, the Pass Laws were adopted, initiating the enactment of Apartheid laws that would taint the country’s history forever. For several decades, a relative status quo was maintained until the freedoms of black South Africans were further restricted in 1948. The Apartheid system finally came to an end towards the end of the century through the efforts of State President F.W. de Klerk, Nelson Mandela and others. In 1992, a convincing “yes” vote in the organized referendum paved way to the democratic elections of 1994, which were to make Mandela the first post-apartheid president of South Africa. In 1999, Thabo Mbeki succeeded Mandela, followed by Kgalema Motlanthe in 2008 and Jacob Zuma in 2009. Zuma was reelected in the 2014 elections and his mandate will expire on 2 June 2019. Throughout the past decade, the South African government has been implementing affirmative action policies and black economic empowerment programs. While good in its intentions to redress the deep and structural inequalities of the Apartheid-era, these programs have side-effects and disadvantage for the Afrikaner minority, a large proportion of whom are low-income farmers and working class citizens. Although the Afrikaners were involved in many of the injustices during the Apartheid-era, in post-Apartheid South Africa today, efforts to redress the inequalities and injustices of the past should not entail the creation of new ones. Many Afrikaners in South Africa today feel that they are being subjected to a vengeful campaign by the South African government. In recent years, the Afrikaners have continued to play an active role in national politics as they aim to protect their cultural heritage and interests. In light of the latter, they continue to put the issue of self-determination on South Africa’s political agenda. Freedom Front Plus currently has four seats in the national parliament. The ANC, however, maintains a significant majority of 249 seats since the 2014 elections. According to Freedom Front Plus, the Afrikaners are experiencing an increasing violation of their cultural, linguistic and political rights. The issues they face are not sufficiently covered in national media and the government virtually ignores the needs of the Afrikaner population. Meanwhile, however, the South African Constitution guarantees the right to a cultural life of one’s choice (S.30), for general cultural, religious and linguistic rights (S.31) and for the right to self-determination (S.235). It is on the basis of these constitutional rights that the Freedom Front Plus aims to protect the cultural heritage of the Afrikaners, as well as indigenous cultures and diversity in South Africa as a whole. Please download our Afrikaner Member Profile Brochure.